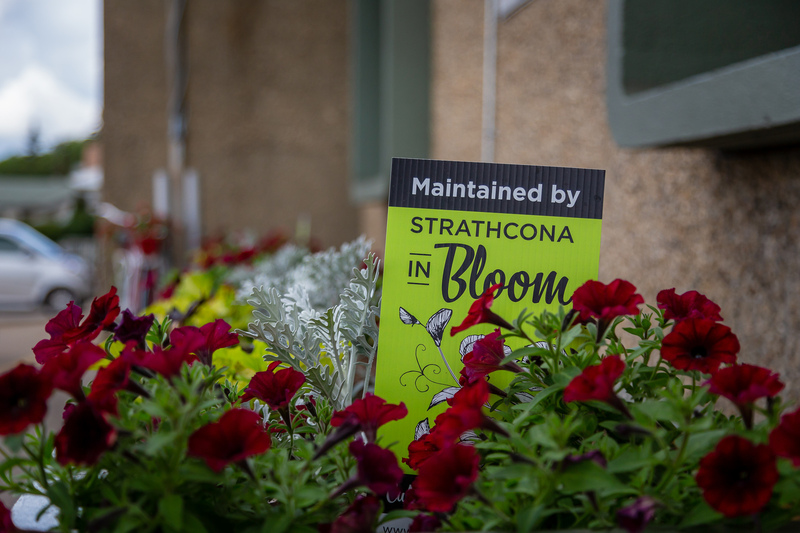 In appreciation of all you do, Strathcona in Bloom volunteers are invited to attend the Communities in Bloom Symposium on Saturday, September 29 from 9 a.m. to 11:30 a.m. The Town Hall meeting, moderated by Mark Cullen, Canada’s Garden Communicator, is an excellent networking opportunity between provincial, national and international communities. Refreshments and assorted pastries will be available. Please note: this opportunity has replaced the volunteer dinner. The deadline has been extended. Please register by September 14. Plans for the 2018 Communitites in Bloom National Symposium on Parks and Grounds and the National and International Awards Ceremonies have been finalized. The Symposium is September 26th to the 29th, and we encourage you to help make visitors feel welcome to Strathcona County. There are many ways you can volunteer from Wednesday (pre-conference) through Saturday. 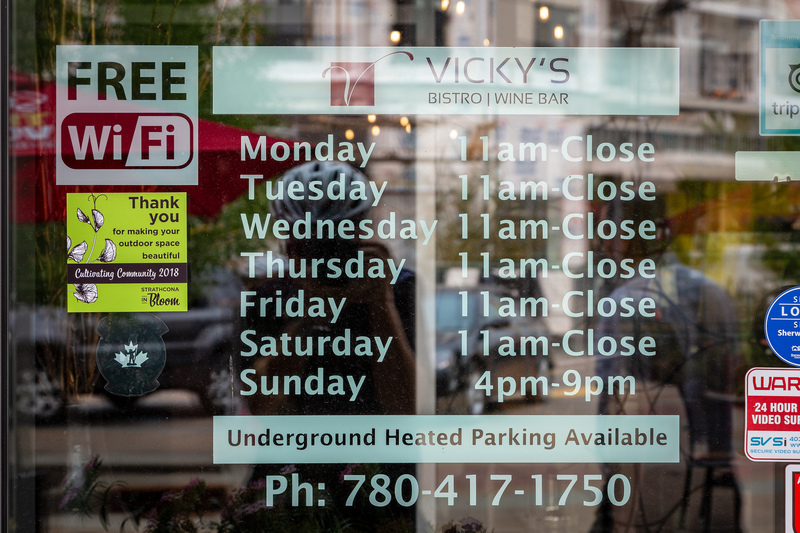 A variety of positions and times are available. If you haven't volunteered yet and would like to, please contact Heather Teghtmeyer at heather.teghtmeyer@strathcona.ca or 780-464-8492. Congratulations to all our volunteers for the great floral displays you have lovingly tended all summer! Wind, heat and dryness were all challenges this season. Despite these challenges, your flowers have flourished and added so much to the beauty of our community again this summer. Thefts were not as severe as last year. Only Craigavon North bed was hit this year with half a dozen plants taken. This has been frustrating for our volunteers caring for the bed. Our edible planters by the Broadmoor Lake playground are being well used by the public. We hope to continue this collaborative effort with Strathcona County Urban Agriculture. This was the first year for this program which recognized businesses and organizations in our community for making their outdoor space more beautiful. We distributed 35 door/window decals and letters expressing our thanks for their contributions. So many had worked hard to beautify their space and were touched by the recognition. Churches, day cares, condos, fast food outlets, senior care centres and restaurants were some of the recipients. Click here for a complete list. We look forward to fine tuning this program over the winter to expand it and include more businesses and organizations next year especially in our hamlets and rural areas. 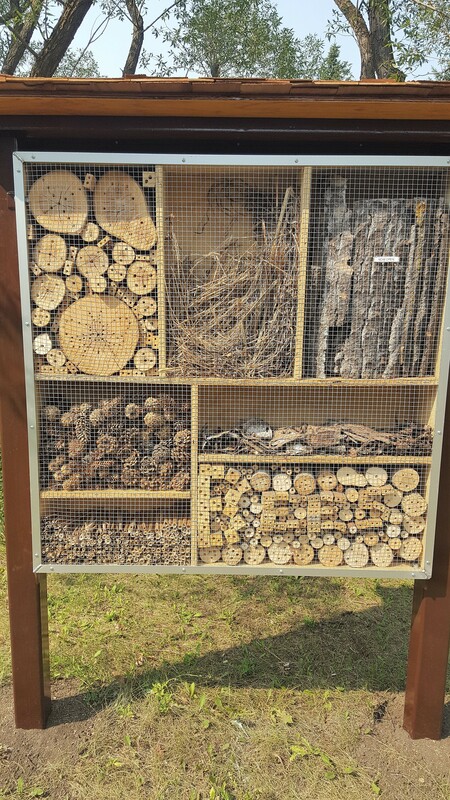 A 5-star bee hotel has been added to the Pollinator Habitat located just to the south of Centennial Park. Our volunteers helped to plant the garden two years ago and it is maturing beautifully. This summer, a bee hotel was added to provide a natural place for the bees to shelter and reproduce. Feel free to copy some of the materials (maybe on a smaller scale) for use in your own garden to encourage these pollinators. There is construction close to the entrance but turn left as you enter and the garden is just south of the parking lot. Worth the visit! 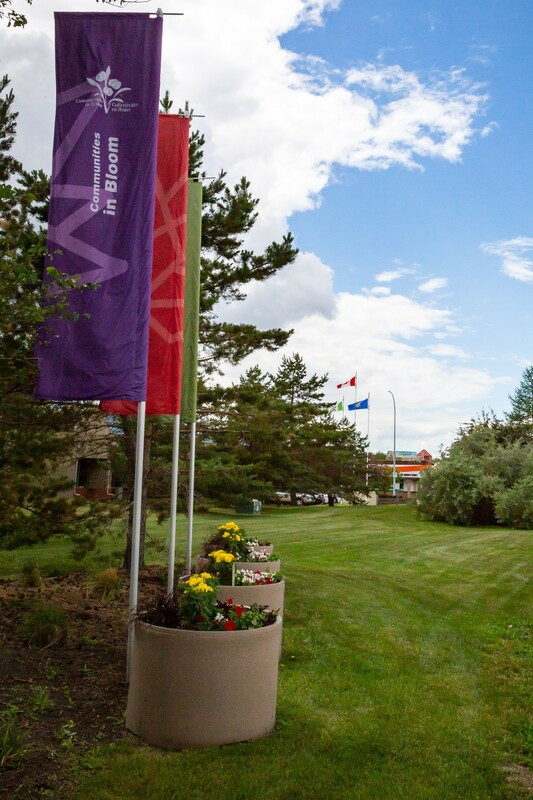 We are hoping that Mother Nature is kind and that flowers last until after the CIB Symposium (Sept. 26 to Sept. 29). If She is not kind, and we get a hard frost, an email will be sent out asking that beds be cleaned so everything looks neat and tidy. If your flowers look good in late September, please leave them in until October 1st, when all beds should be pulled. Please be aware that during the last week of September, all Horticulture staff will be busy preparing for and working at the Symposium and will NOT be available to pick up bags that week. Thanks again for all you do. Looking forward to next planting season.